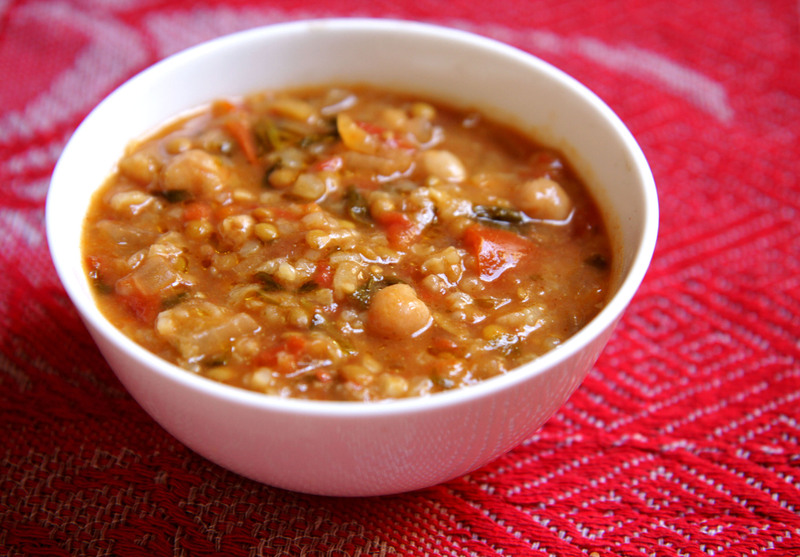 Lentil and chickpea soup, or sopa de lentilhas com grão, is a very typical Mediterranean style soup. This hearty and nutritious soup is absolutely rich in flavor and perfect for just about any occasion. It can be made quite easily without much fuss. Enjoy. 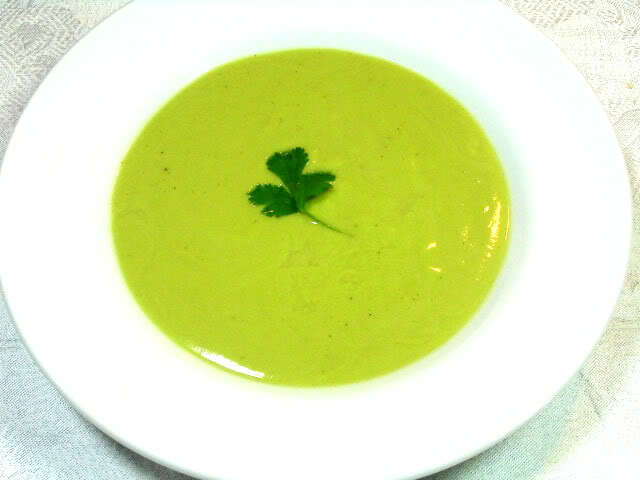 Sopa de Espargos, Portuguese Asparagus Soup recipe. This is a delicious typical Portuguese style green soup that is great for a light and healthy meal. This soup has lots of flavor and a nice texture to it, making it one of my favorites to eat. It is simple and easy to make and is sure to impress. Enjoy. This is a recipe for the very popular and traditional Sopa de Tomate á Alentejana, which is a Tomato Soup dish from the Alentejo region in Portugal. 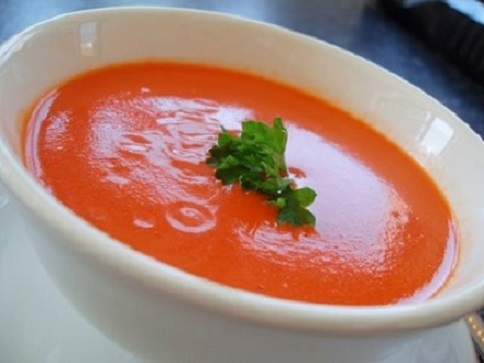 It is a tomato soup dish with the induction of a couple of uniquely added ingredients which make for a very flavorful and rich soup. With the addition of eggs and pepper it makes this soup quite hearty and healthy and perfect for those who want to eat a nutritious but light dish at any time of the day. 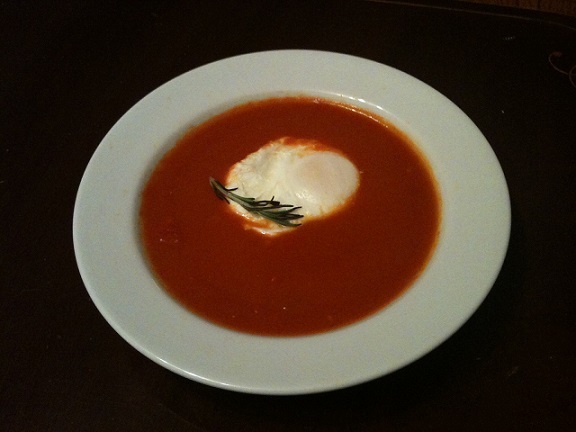 Sopa de Tomate, or Portuguese tomato soup, is a really popular and simple Portuguese dish. It is hearty, healthy, and can be made without any fuss but is actually very flavorful. This soup is really emblematic of Portuguese cuisine in that way. Try it out and tell us what you think. 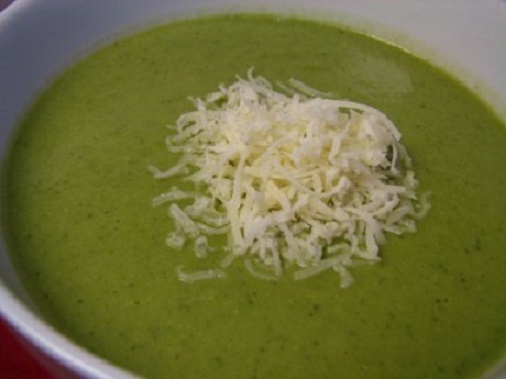 Super simple and easy recipe for delicious Portuguese Zucchini soup, or Crème de Courgettes. This recipe is a light healthy treat which is a very popular eat in Portuguese cuisine. It is a soup which is perfect for cooling down in the summer months. It can be eaten as a side or appetizer, or even as a full meal if you are eating light. Try it out and tell us what you think. 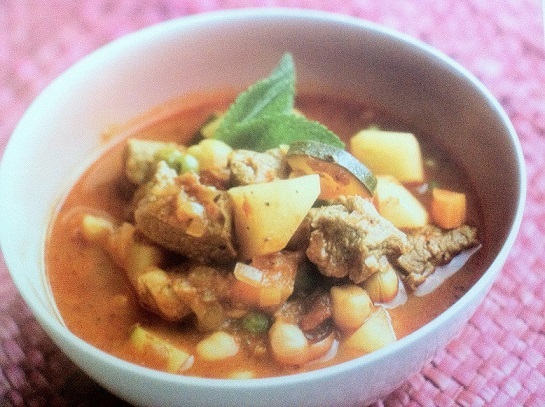 Delicious recipe for Portuguese Spicy Lamb and Chickpea Soup, or Sopa de Cordeiro com Grao. This is a unbelievably rich and flavorful soup which is possibly my favorite Portuguese soup to eat. It is a very healthy soup which is perfect for times when you are especially hungry, as this is a really hearty meal on its own. The induction of Portuguese style spices like paprika and piri piri makes this soup have quite a flavorful kick to it. The ingredients are a bit more complicated than usual but the directions are very simple and this soup can be made without the fuss.